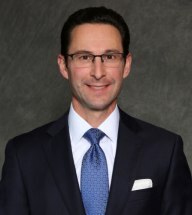 Troy L. Kessler is a partner at Shulman Kessler LLP. He has extensive experience in representing employees who have been the victims of discrimination, harassment, wrongful termination, retaliation, overtime and minimum wage violations. Troy is a frequent speaker at CLE events, addressing topics covering wage-and-hour litigation, amendments to the Federal Rules of Civil Procedure, strategies for pursuing and negotiating class action settlements, and discrimination and harassment cases. Troy is also a contributing author for the American Bar Association’s FLSA Midwinter Report. As a mentor with the Nassau County Bar Association, Troy works with children at a local middle school, where he and other attorneys volunteer their time to provide children in need with positive adult role models.